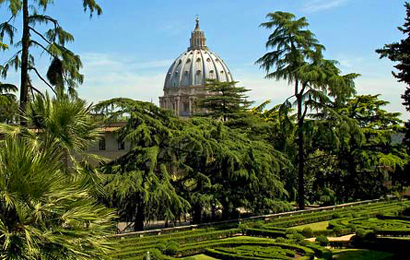 Separating the Vatican from the secular world on the north and west are 23 hectares (58 acres) of lush gardens filled with winding paths, brilliantly colored flowers, groves of massive oaks, and ancient fountains and pools. 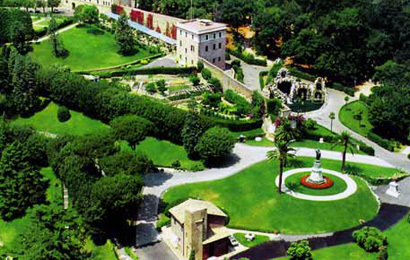 Today, the Vatican Gardens is the place where the Holy Father privately meditates and enjoys the nature that surrounds him. The Gardens are not open to general public with exception of scheduled group visits. 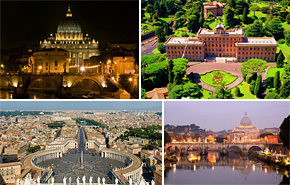 For private visits in company of Vatican staff a special permit will be requested. The visits are allowed in the morning only and usually last two hours. 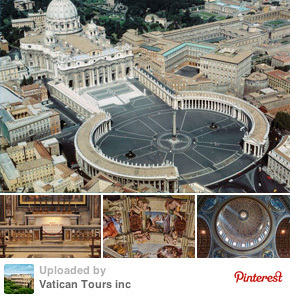 Group version of exclusive visit makes it more affordable. Guide will use head phones for better experience.